Bus passengers in England are set to benefit from cleaner, greener bus journeys thanks to the 4th round of the Green Bus Fund announced by Local Transport Minister Norman Baker. The £12 million funding for 213 new low carbon buses will deliver better services for passengers while also cutting carbon and delivering economic growth. The Green Bus Fund aims to cut greenhouse gas emission levels and encourage bus operators and local councils to make the switch to more environmentally-friendly buses. In total 4 rounds of the fund, worth £87 million, will have delivered more than 1200 new low carbon buses in England, saving around 28,000 tonnes of CO2 emissions per year. The government is paying up to half the cost difference between low carbon diesel-hybrid and biomethane gas buses and their standard diesel equivalent. Five bus manufacturers will benefit from orders for their eco-friendly hybrid, electric and gas buses, with many of the buses being assembled in the UK. 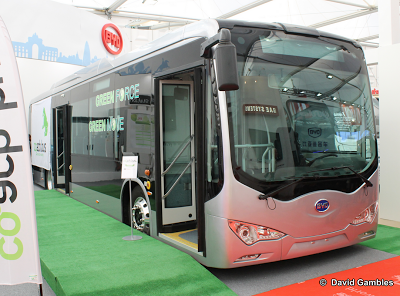 The manufacturers which stand to benefit are Alexander Dennis Limited, BYD, Optare, Scania and Volvo. The winners, who will add 83 single-decker and 130 double-decker buses to their fleets, are spread across England and include Stagecoach and First Group. The local councils involved in the initiative include the City of York, Greater Manchester, Nottingham City and Transport for London. Local Transport Minister Norman Baker has asked the department to explore options for further green initiatives to make full use of the remainder of the available funding in this financial year. "Buses are an essential part of people’s day-to-day lives up and down the country and are a key tool for enabling economic growth. At the same time, we want this growth to be green, which is why we are investing in these brand new low carbon buses. The last 3 rounds of the Green Bus Fund have shown that bus operators and local authorities are keen to invest in environmentally friendly technology, and it is encouraging to see this strong interest in ultra low emission vehicles continuing through the 4th round of the fund. I’m glad these new technologies are breaking through into the mainstream. This further strengthens the case for operators in the UK to invest in ultra low emission technologies and achieve a step change in cutting carbon." 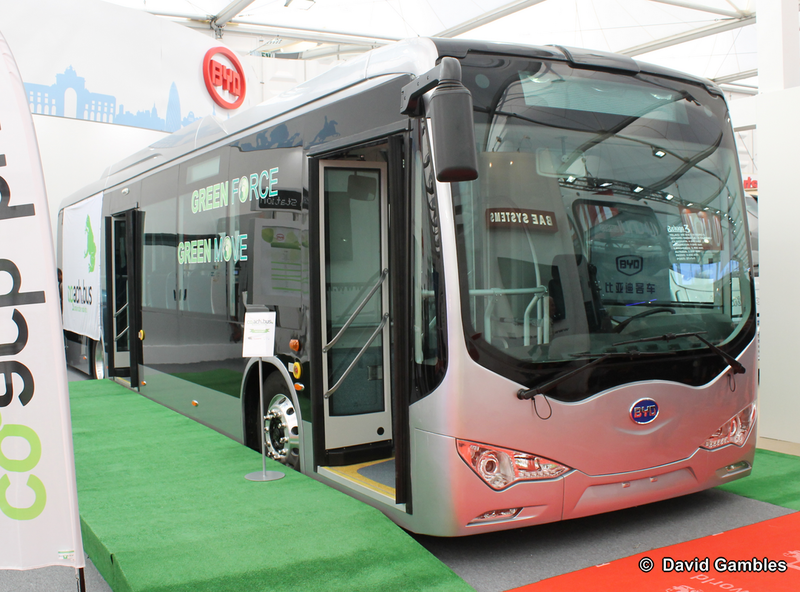 It is the first time that Chinese manufacturer BYD has received an order from a UK customer. "The BYD ebus is able to run 155 miles on a single charge in urban conditions (without solar contribution), more than enough for daily public transportation. The energy consumption of the BYD ebus is less than 100 kWh per 60 miles"